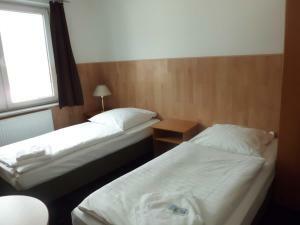 The simple rooms at Hotel an der Bille are soundproofed and feature wooden interiors. They come with a TV and private or shared bathroom facilities with toiletries and a hairdryer. There are many dining and shopping opportunities within a 5-minute walk. Guests enjoy a walk along the Elbe River, located 1 km from Hotel an der Bille.